I want to say my guest and I have followed each others blogs for some time now. I mean she’s an author, I think authors are cool, so of course I followed the author lady. That of course meant that when I decided to start this site I wanted to interview her and amazingly enough she said yes. I am surprised with each person that says yes, but especially those who have several books out. Now it’s time to meet . . .
SHANNON: I’m from the road. Even though I’m only 23, I have moved 15 times in my life. I’ve lived in Pennsylvania, Oklahoma, Wisconsin, Georgia, and on the Kansas-Missouri border, so I don’t really have a hometown. It’s hard for me to stay in one place for too long. Traveling is when I feel at home. SHANNON: Jack Kerouac and Edgar Allan Poe are my favorite traditional authors, but I absolutely adore Meg Cabot, Cassandra Clare, Lauren Oliver and Lynne Ewing in the young-adult market. I’m also a huge fan of the poet, Billy Collins. SHANNON: Coffee! I’m such a coffee addict that I just cannot go a single day without at least one pot of coffee. I’ve actually been drinking it regularly since I was twelve. I am not a fan of chocolate, so I didn’t like having hot chocolate in the winter mornings to keep me warm, so my father thought it was a good idea to give me his leftover coffee. Been hooked ever since. The funniest moment was when my middle school teacher realized what I was drinking every morning, but that’s another story to be told. I’m actually drinking a coffee right now. SHANNON: Writing – I know that sounds like a contradiction, but I have many types of writing. I write young-adult novels, but I’m also a poet, and I work on numerous books at a time. If I’m stressing out about one, I just skip over to something else – something that I don’t have to worry about – and if I don’t want to write at all, I’ve been known to hop in the car and drive without a destination in mind. The road is a comforting place. Unless you’re short like me driving into the setting sun. Then, it burns. SHANNON: Midnight – I am a night owl, practically nocturnal, and the single word reminds me of how calm everything is late into the evening when everyone else is asleep. SHANNON: I’ve been writing as long as I can remember. In fact, my mother taught me to write in order to cope with my night terrors as a child, but she – unfortunately – died very suddenly when I was eleven, so I began chasing a serious writing career after that. My first novel was published five years later, and since then, I’ve had four novels, two short stories, and a collection of poems published all around the world, including a Norwegian magazine. I also studied literature and creative writing at the University of Kansas where I graduated from in 2013. RW: Tell us about why you chose Take Me Tomorrow as the title of your novel? SHANNON: I write in many genres, but I currently only have young-adult, paranormal romance, dystopian, contemporary, military, and poetry published. Whew. I thought that list would be shorter when I started, but – as you can see – I love writing in various styles. I look at it this way: I love reading numerous genres. Why would I only write in one genre? 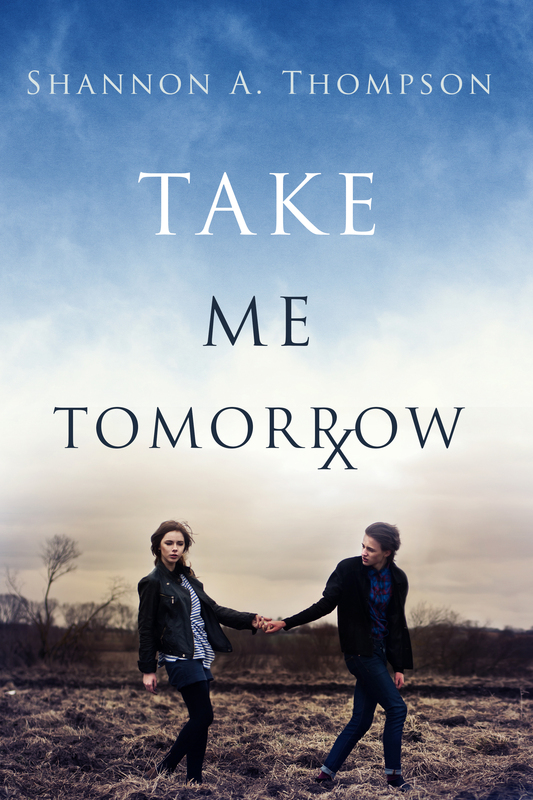 SHANNON: Take Me Tomorrow is a young-adult dystopian novel about a clairvoyant drug, but sixteen-year-old, Sophia Gray, has other problems to deal with. Her father runs an illegal forgery, and her best friend is caught up in small crime, and that is not even the end of it. When a mysterious boy shows up in her backyard, Sophia has to decide whether to fight for a tomorrow she cannot see or sacrifice her loved ones to the world of tomorrow. SHANNON: Sophia Gray is strong, stubborn, and willing to do anything to help her friends and family, but she’s also human. Her anger can get the best of her, but she doesn’t let anyone try to stop her from doing what she thinks is right. Noah, on the other hand, is rather forced into doing things, and everything has slowly broken him down. He’s a very complex and damaged character, but when the two come together, a dark serenity clears the tension around them. (I think) Viewers can believe in the characters more when they haven’t seen the actors everywhere before. SHANNON: As much as Take Me Tomorrow deals with sensitive topics revolving around drug abuse, I strived to stay neutral to the topic, and so far, many readers have reflected that in their reviews. The message is completely up to the reader, and I wanted it to be that way because society is that way. These things are not black and white. These moments are always gray. SHANNON: After it was all written, I think I realized how much of my personal life I have slipped into the story. Sophia is very much like me when I was sixteen years old. She has a knife collection. (Something I do, in fact, have.) And she finds peace in a forest that she checks with her dog, Argos, who she loves very much. That was practically my life. I had acres I had to watch over, and my husky and I spent hours out there. Writing about it brought many happy memories back, but writing about the drug use was also very hard. When my mother first died, I never told anyone how it happened. I just avoided explaining it. But after many years passed, I slowly dealt with the fact that she had been addicted to drugs, and writing allowed me to explore a lot of those emotions. There’s a moment in Take Me Tomorrow where Sophia looks at Noah and states, “I could handle his drug-induced state. His sober state was more terrifying.” This line has been pointed out by readers, and I think that’s because it’s uncomfortable and true. Not for all situations, of course, but for some people who’ve had loved ones addicted. Sharing those moments can be scary, confusing, disheartening, and honest. SHANNON: Take Me Tomorrow is available everywhere – Amazon, Barnes & Noble, Smashwords, Apple, etc. SHANNON: The Timely Death Trilogy is an award-winning, paranormal romance, and it is also available everywhere. Minutes Before Sunset (book 1) explores the world of lights and shades, creatures that live among humans as humans, and two characters – Jessica and Eric – tell the story of two destinies and one death. Book 2, Seconds Before Sunrise, is also available, and Death Before Daylight, book 3, is releasing in January of 2015. 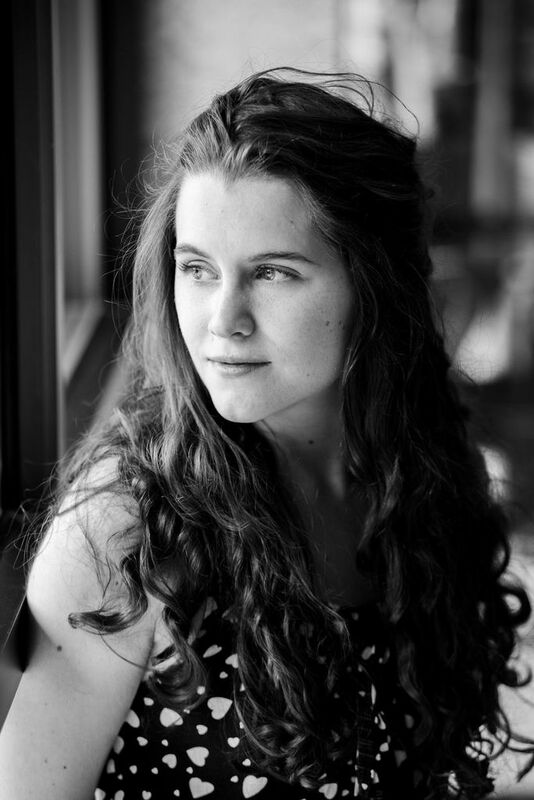 SHANNON: I am mainly found on my website – ShannonAThompson.com – where I talk about reading, writing, and publishing. We are so close to 18,000 followers! But I love connecting with anyone and everyone, so I am also on Facebook, Twitter, YouTube, Wattpad, Instagram, and more. SHANNON: In 2012, I was signed by AEC Stellar Publishing, Inc., and they’ve represented The Timely Death Trilogy as well as Take Me Tomorrow. My poetry was published by LALUNA magazine and Kansa Publishing, and my short story was in The June Project. My first novel was done by Golden Eagle Publishing, but I’ve gotten my rights back, and I plan on re-releasing November Snow in November of 2015. SHANNON: For publication, I’m working on my content edits for Death Before Daylight, book 3 of The Timely Death Trilogy, and November Snow. I have other works pending in various stages of publication, but I don’t like talking about them until they’re coming out – I’m a very superstitious person, and I always feel like I’m jinxing it if I talk about it with anyone but beta readers. SHANNON: One of my jobs at AEC Stellar Publishing, Inc., is pre-reading novels before release, so I’ve been reading two novels we’re releasing – The Stars Are Infinite, book 2 of The Stars Trilogy, by Amber Skye Forbes and The Pandora Chronicles by Ryan Attard. SHANNON: Research and research some more to make sure the path you take is the best one for both your novel and your goals. Traditional publishing, small press, and self-publishing all have pros and cons. Understanding those is key to achieving the type of publication you dream of. There you have it all folks. Everything you need to know about Shannon. Below you will see her book trailer for Take Me Tomorrow, enjoy it. I once again thank Shannon for agreeing to join us today. I just cannot believe the generosity of the Literary Community in starting this site off in such a great way. Follow LitWorldReviews on Bloglovin’ by Clicking Below. Previous PostWhat about those Reviews – The Good, The Bad, and the Confusing @JoRobinson176Next PostRead a Book, Write a Review. You’re the one to be thanked. 🙂 It was an awesome honor. I’ll be sure to share it around today and during my next blog post!